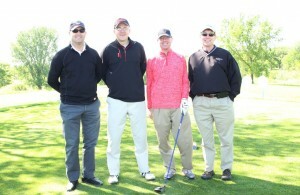 Midlands Community Foundation’s annual golf tournament is commonly held in May. The proceeds generated from this tournament go toward the mission of Midlands Community Foundation. The golf tournament is best known for the countless volunteers, sack lunches and our tasty steak dinners. Midlands Community Foundation is a 501(c)(3) organization (ID #51-0191738), therefore, donations in excess of the value received are deductible as charitable contributions. For more information on Midlands Community Foundation’s Golf Tournament, contact us at 402-991-8027 orevents@midlandscommunity.org. The Midlands Community Foundation Reflection Ball is a fund-raising event for the communities of Sarpy and Cass counties. Some of the area’s most active and influential business and community leaders and friends of Midlands Community Foundation gather to celebrate at this elegant charity ball which includes a formal dinner and dance. Each year a decision is made to honor an individual or individuals who have contributed significantly to our community and the mission of the Foundation. Annually, the Midlands Community Foundation Board of Directors unanimously selects the Reflection Award Recipient(s). This recipient(s) is able to celebrate at the Ball with their family, friends and community for their loyal and selfless commitments. The Reflection Ball generates much needed financial support for the programs and services within our community. At the beginning of the year, the Reflection Ball Committee Chair and Vice Chair present a slate of names to the Foundation’s Board of Directors for potential Proceeds Recipients. It is the hard work and dedication of the Reflection Ball Committee that has made an everlasting impact on our community. For more information on Midlands Community Foundation’s Reflection Ball, contact us at 402-991-8027 or events@midlandscommunity.org. The following are upcoming events planned by charitable funds under Midlands Community Foundation’s umbrella. MCF's 2018 Golf Tournament raised more than $42,000. Donations were awarded to Big Brothers Big Sisters of the Midlands, Cass County CASA, Fontenelle Forest, HELP Adult Services, HETRA, Make-A-Wish Nebraska, Papillion Volunteer Fire Department, Project Harmony and Share A Fare, Inc. Thanks to our generous sponsors and golfers.